While we don’t have routes hammered out, we’ll likely string together some of these areas in one fashion or another. 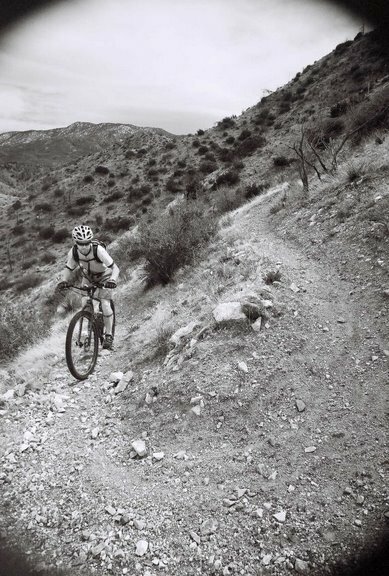 May Valley- Some of the ride’s most satisfying singletrack will be on one of our local trail systems here. May Valley leads to Hurkey Creek (site of the 24 hour race) and out to Thomas Mountain. Pine Forest to Chaparral here. 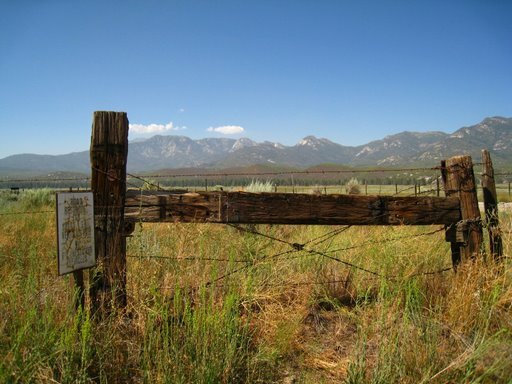 Garner Valley- Stunning views of the mountain will surround you here. We’ll probably hit a little asphalt in this area. 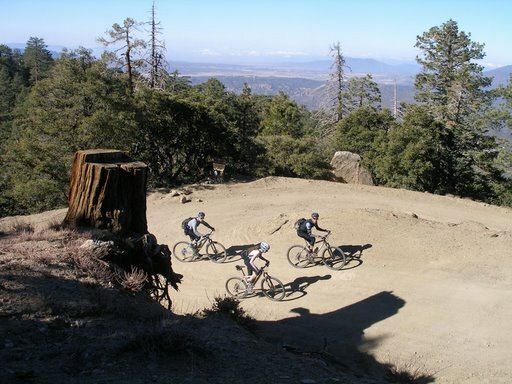 Ramona Trail- After we’ve climbed Thomas Mountain, we’ll descend the Ramona Trail, a tight, rugged singletrack. Once again, you’ll descend from Pine forest down to Chaparral. Pinyon- This shot was taken from the Pinyon Flats campground, a potential bail-out or aid station. 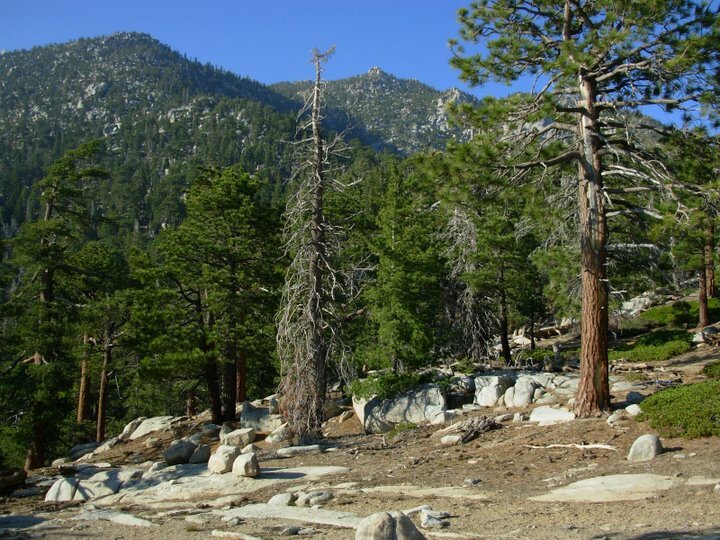 Pinyon is the upper trailhead of the Palm Canyon Trail. Santa Rosa Mountain looms in the background. 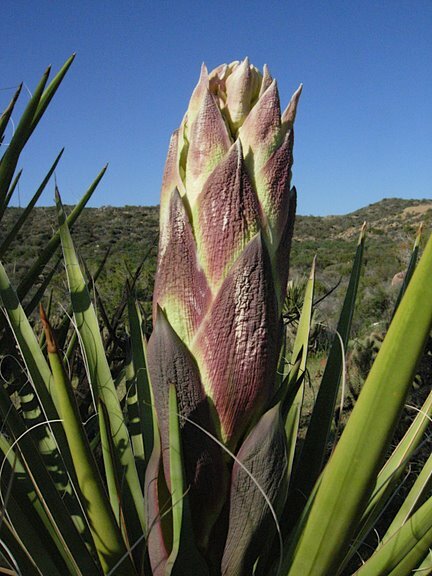 You’ll start seeing desert plants & wildlife here. 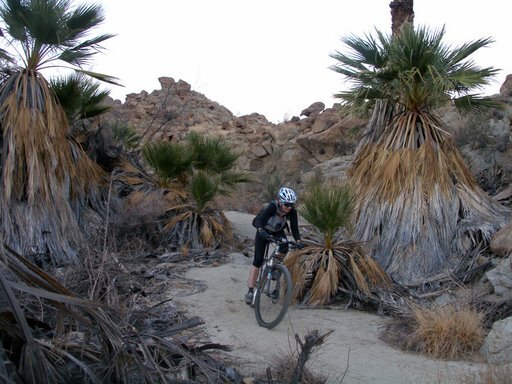 Palm Canyon- from the Sawmill Trail on Santa Rosa, we’ll descend to Pinyon, and can proceed down into Palm Canyon. 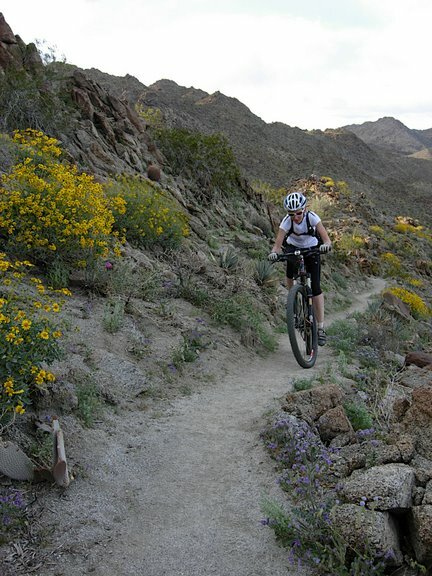 This singletrack takes you from Chaparral down to desert. So we’ve had some emails & trailside discussion. The timing for November is getting a thumbs-up, as is a takin’ it easy, grill & chill philosophy. 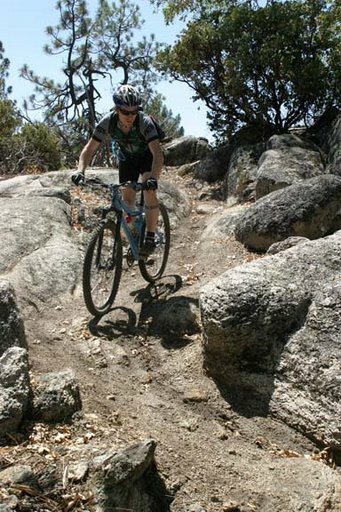 The thought at the moment is we can start in Idyllwild, sans autos, and head out on some guided rides through our most delicious singletrack in May Valley. 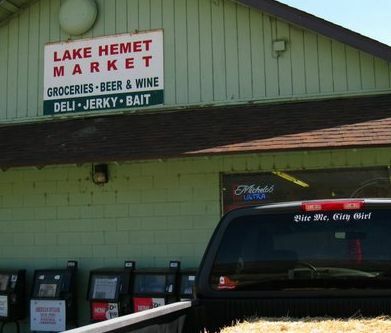 From there we can make our way across the mountain, perhaps with permission on some private property that parallels the highway (dirt > than asphalt) and find ourselves in Pinyon, where we’ll have a mid-day feast waiting & a possible bail-out point. 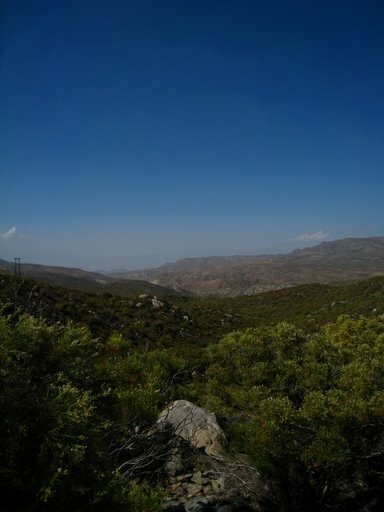 From there… we can point downhill toward Palm Canyon. Yes, there’s a palm oasis down there! The time is nigh to get the word out, hammer out a date, and do some riding. Got any ideas? – we have a short winter up here, relatively speaking. We can host this as late as November- or as early as March- and enjoy comfortable temps & good trail conditions. – we have a County Park within walking distance of town center, and plenty of B & B’s and hotels. You can drive up the mountain, park, get out, lock the car & throw away the keys. You won’t need ’em until you’re done. Everything in town is accessible by foot or bicycle traffic. – Our route can go off the mountain, and into the desert. 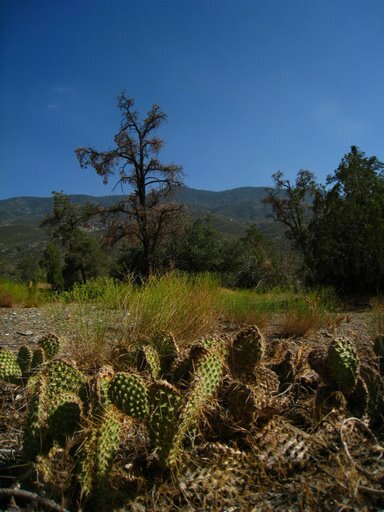 With climate zones in the pines, the chaparral, high desert, and low desert. Elevation high point in the 6K range (possibly as high as 8.5K) and as low as 1K in the desert. Expect some climbing. – Also expect some tasty singletrack. Much more technical than you may expect in So Cal. 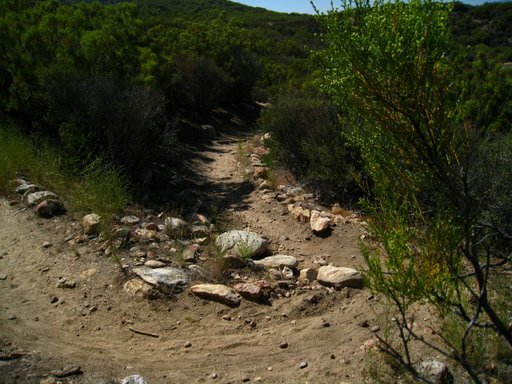 Trail surfaces can include decomposed granite, boulders, rocks, sand, and washboard. – Awards. Yes, we will have them. No, they won’t be worth much. But they’ll be good nonetheless.